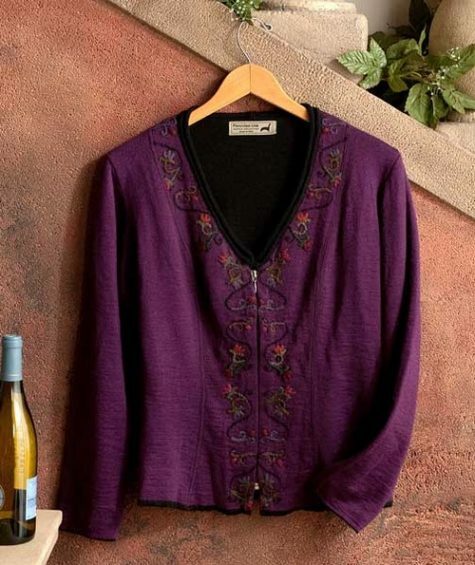 Deep purple V-Neck cardigan with a zipper front closure has beautiful crewel embroidery work so fresh it looks like it was just plucked from the vines! 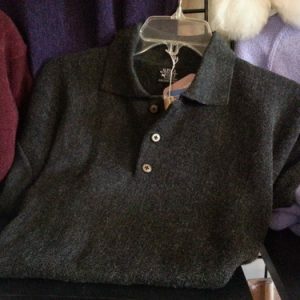 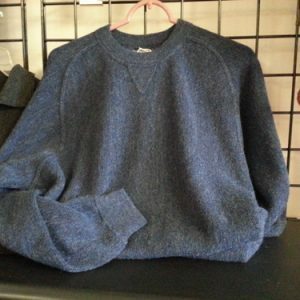 There is a black border on the sleeves and zipper front. 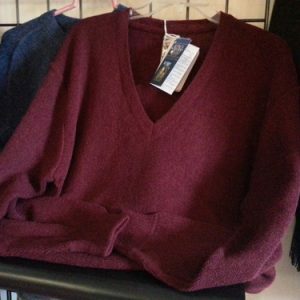 The shape of this mid length tunic has a flattering swing that invites you to relax and savor the good life. 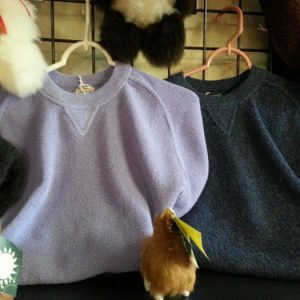 Made from 50% alpaca and 50% acrylic.